Crow’s feet, or in a more positive light “smile lines” creep up as we age. You can thank the natural aging process for these telling lines that form around the eyes. As we age, the elasticity and thickness of our skin decreases making our skin more susceptible to wrinkles. In addition, the skin around our eyes is constantly moving as we smile, squint, etc which over time causes wrinkles. While we can’t stop the natural aging process, there are things we can do to help slow down and even turn back the clock. 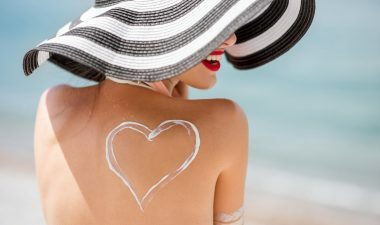 To help prevent these lines from appearing or, if they are already there, worstening it’s important to wear your sunscreen. We all know that exposure to the sun and it’s damaging UV rays causes our skin to prematurely age, especially in the eye area. Hydration and overall skin health also plays an important role. There are several ways you can slow down the clock. First, make sure and drink those 8 glasses of water a day, more if you are in the heat. Second, use a hydrating and plumping eye cream such as Skinceuticals AGE Eye Complex or Eye Balm. And third, using a specially formulated antioxidant product, like Skinceuticals Phloretin or CE Ferulic will help optimize your skin’s regenerative process and improves the appearance of fine lines not only in the eye area but the entire face and decollete. Adding these products to your routine will help to slow down the aging process and keep those crow’s feet at bay. If you are ready to get rid of your crow’s feet call 720.583.1826 to schedule your complimentary consultation.